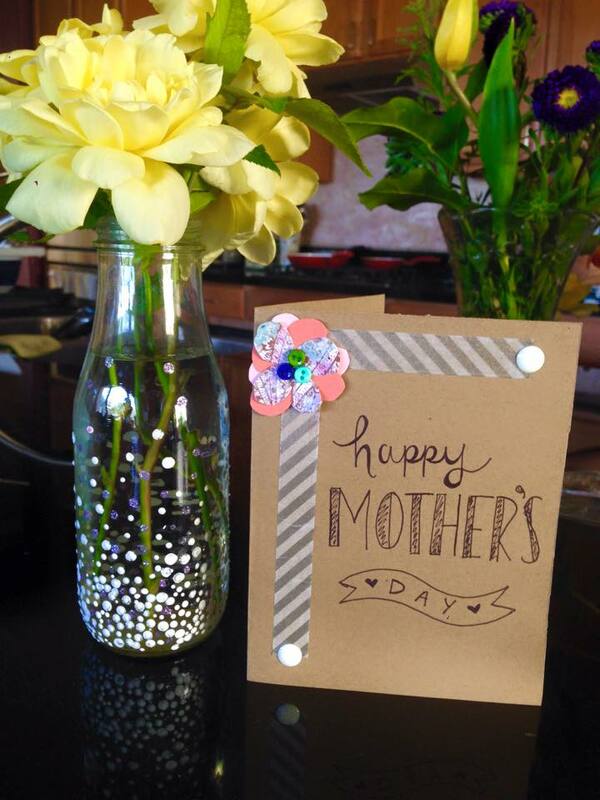 Happy Mother’s Day to all the wonderful, amazing Moms out there! I’m currently blogging from the parental’s house, taking advantage of the spacious kitchen countertop of theirs. Since Dad is cooking dinner I’ll be in charge of dessert (which is still TBD, but I’ve been needing to find a way to use the rest of the heavy cream in my fridge. Google, here I come!). *Tips on getting the label off the bottle: Trust me, I know the struggle of getting the sticky goo of bottles! What I found works really well is non-stick cooking spray. Spray a bit right on the goo residue, leave it on for a minute, then wipe off under warm water. Cooking spray is seriously amazing for this!! 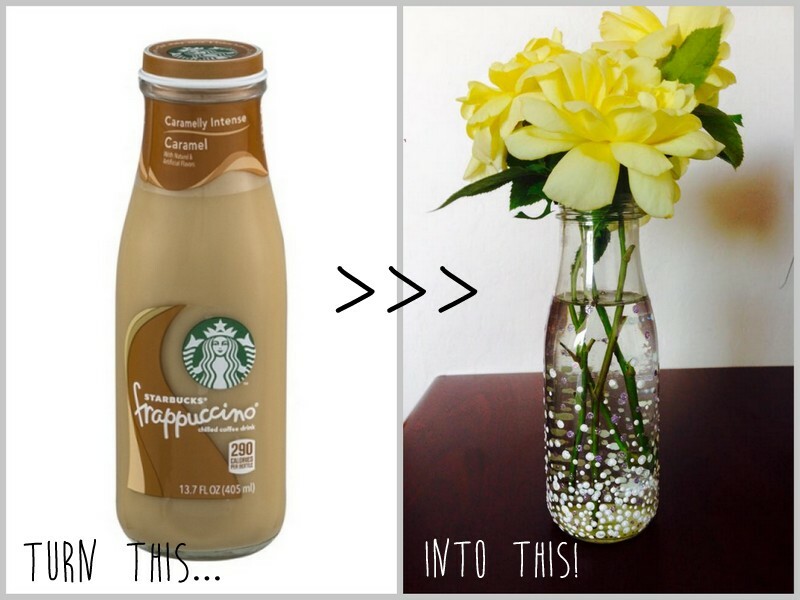 To decorate the vase, I dotted the puffer paint onto the bottle, dotting closer together at the bottom then farther apart I went up the bottle to give it a floating effect. I altered between white colored paint and a glitter purple. Of course, you can use other crafting material you have around the house, but these are just the materials I used. Happy Mother’s Day!! ‹ PreviousRearranging my living room!